– Flying Business class on a Qantas, QantasLink or Jetstar flight later that day. 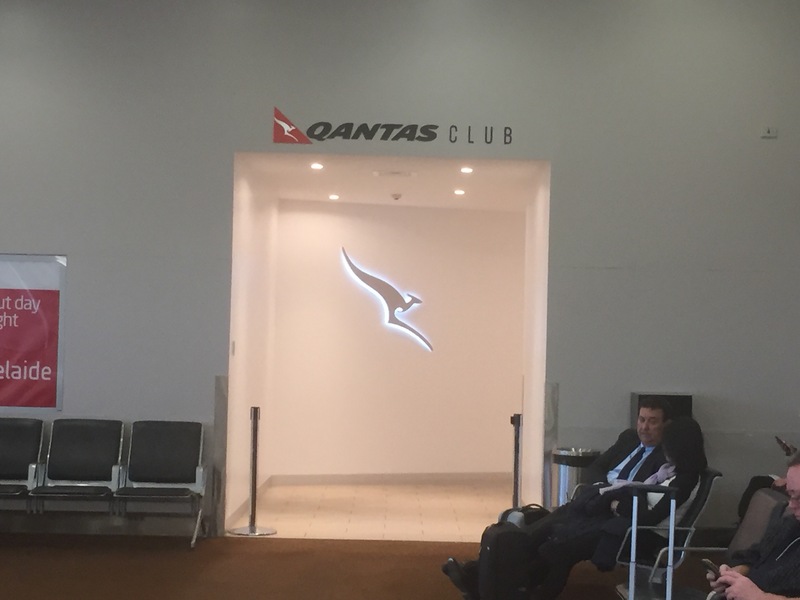 I accessed the Business Lounge as a QANTAS Platinum member on the cheapest economy fare of the day. Review is from a visit during June 2017. The Hobart Qantas Club Lounge is in the main (really only) terminal, turn left once past security. The lounge is after Gate 5, you walk down a short corridor. 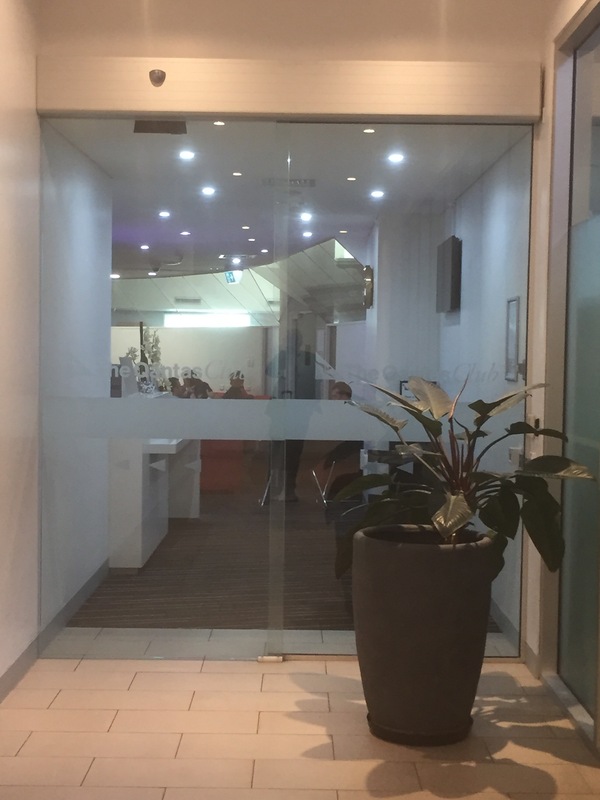 The Hobart Qantas Club Lounge area is fairly small but considering there are very few Qantas flights leaving Hobart it is adequate area but can get busy around 5 pm. You need to pass a security desk at the front entrance. The lounge does provide good tarmac views and natural light. There is a small bathroom facility in the main lounge area just before the drink and food station. There is a food station which you can use to make sandwiches and the bread used in this lounge is superb! There are also various cakes, nuts, biscuits, small savoury items, lollies and some apples and oranges. 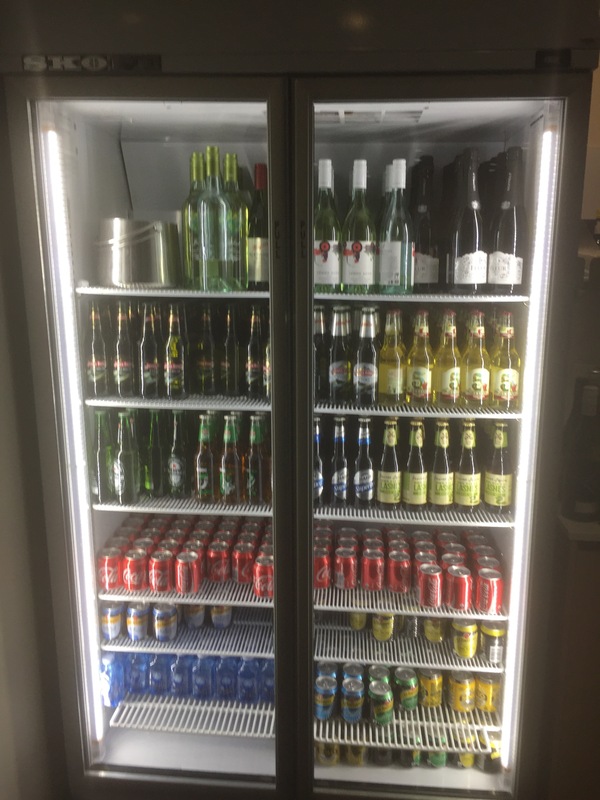 There is a fridge with soft drinks and alcoholic drinks. You could also get coffee, tea and wine. Normally you can only get alcoholic after noon but given self-serve nature of the fridge I guess you can drink earlier. There are no showers, small toilet area, two TVs which have Pay TV Station Sky News and one local free to air channel. 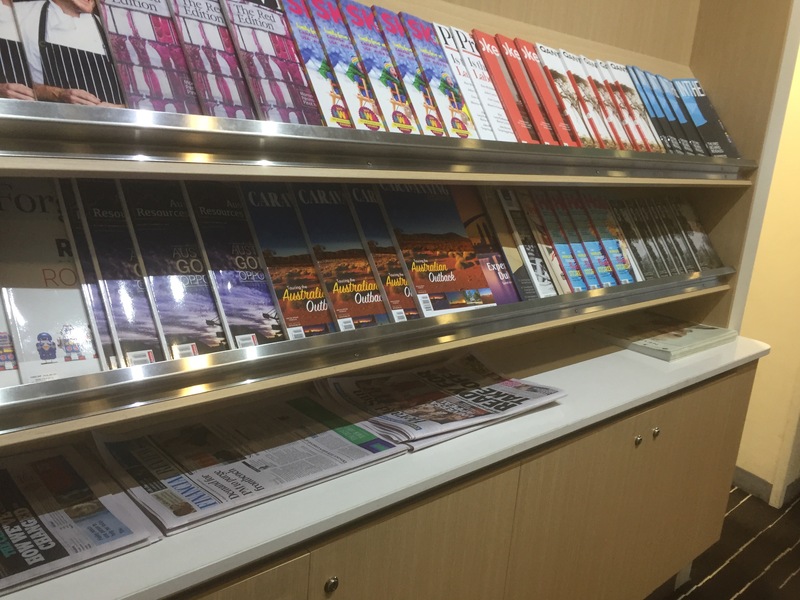 There is also a reading library with newspapers from around Australia and magazines. I couldn’t find power outlets to plug in your laptop or other equipment but might be hidden somewhere. Free Wi-Fi is offered but I didn’t test the speed. The staff were very welcoming and helpful keeping the lounge clean and offering to help clients when they looked like they needed something. 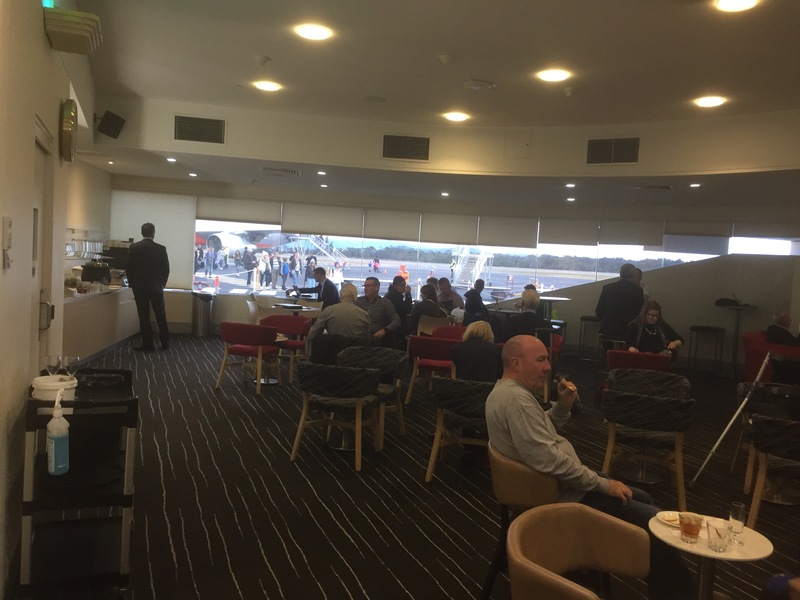 The Hobart Qantas Club Lounge is a strong regional lounge with a good view of the tarmac. The bread used at the food station was superb. Lounge staff were very friendly and seemed to know several visitors well. Not being able to find any power outlets. This is a better than basic lounge, nothing special, but good for the size of the airport and how many Qantas flights leave during the day. The lounge staff are very professional and friendly. A good place to get a drink and a snack for a short visit. 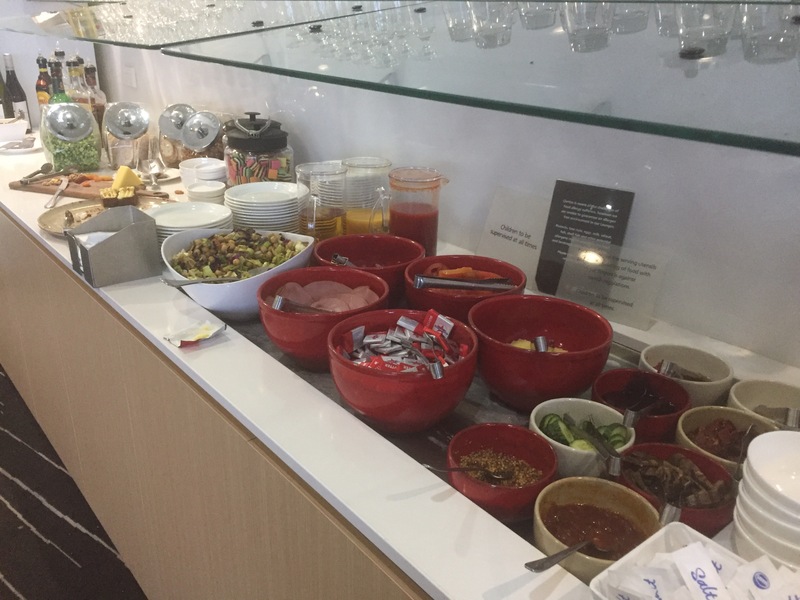 This entry was posted in LoungeReview, Travel and tagged Hobart Qantas Club, Hobert Lounge Review, Lounge Review, Qantas Club. Bookmark the permalink.